For the past several months David Blaine and his production team have been carefully crafting the next generation of his Split Spades deck - The Lions. The deck features a level of intricacy never before seen in playing card design, and David himself experimented with the feel and finish until he was 101% satisfied. The Split Spades design is iconic - there is an elegance and a level of intricacy among each element of the core design. The Ace of Spades design (and the box design) are all new, featuring two-way images and hidden text. These features and other revolutionary design components unite to form a deck that is unlike any other. The finish and card stock is unique and completely new to the Split Spades. Not too thick, not too thin. 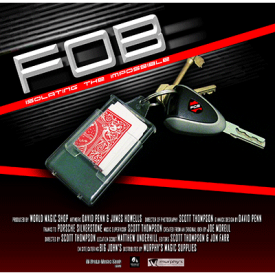 The focus was to produce a deck that handled well and - just as importantly - lasted. 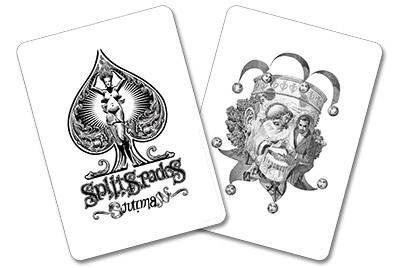 SPLIT SPADES playing cards are recognized as must-haves among magicians and card players - a true collector's item. The latest edition, the LION DECK, is once again personally designed by David Blaine, in collaboration with renowned artist Mark Stutzman. Printed in limited quantities. Made by the United States Playing Card Company from the highest quality papers for improved handling and durability. An elegant highly detailed card back design. Simply enter your details below and we will send you an e-mail when “Split Spades - Lion Series (Blue Inverted) by David Blaine” is available to ship!